Swim, snorkel, scuba dive and sunbathe at a picturesque bay on the east coast of Rhodes that is named after a famous Hollywood movie star. Anthony Quinn Bay is a small, attractive cove where you can enjoy natural beauty above and below the Aegean Sea. The bay takes its name from the Hollywood actor Anthony Quinn, who stared in The Guns of Navarone, a movie that was partly shot at the beach. A stairway leads from the roadside down to the beach where you will find a narrow stretch of golden sand and pebbles interspersed by large rocks. The forested cliffs that surround the beach provide shade from the sun and protection from the wind. Rent a sun lounge and umbrella and find a good sunbathing spot on the beach. Alternatively, stretch out on the flat surface of the rock that juts out from the center of bay. There is enough space here for a small number of sun lounges. Enjoy a refreshing swim in the warm emerald-green water. The seabed is rocky, so if visiting with young children, you might want to accompany them into the water. The clear sea is ideal for snorkeling and scuba diving, and equipment is available to rent at the beach. For food, bring a picnic or visit the small taverna situated near the top of the stairway. Anthony Quinn Bay is very popular, especially during the peak summer months of July and August. If the beach is overcrowded, go to Ladiko Beach, set around a small cove on the opposite side of the cliffs. The facilities there include sun lounges, umbrellas, showers and beach bars. Anthony Quinn Bay is about a 25-minute drive from Rhodes City. An enjoyable way to get there is to rent a car and drive along the scenic coastal road. Free parking is available above the beach. Combine your beach time with a visit to the nearby village of Kalithies. Discover centuries-old temples and monasteries or explore Kalamonia Cave, an archeological site that dates back to the Neolithic period. Why not consider trying out a Rhodes Half-Day Sea Kayaking Tour with Picnic or a Rhodes Island Cruise? If you're after even more options, check out our Rhodes things to do page. Nestled on the beach, this Rhodes property is within a 10-minute walk of Ladiko Beach and Anthony Quinn Bay. Faliraki Beach and Afandou Beach are also within 3 mi (5 km). 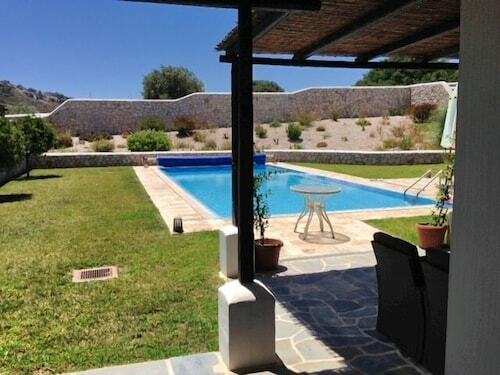 This family-friendly Rhodes property is within 2 mi (3 km) of Faliraki Beach and Anthony Quinn Bay. Ladiko Beach and Afandou Golf Course are also within 3 mi (5 km). 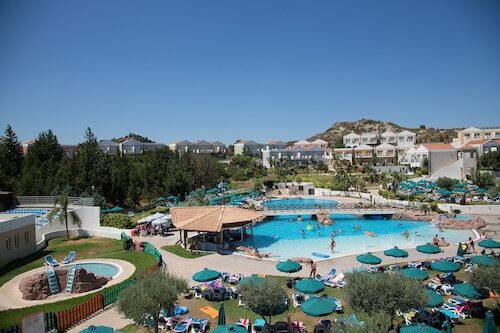 Situated near the beach, this hotel is within a 10-minute walk of Ladiko Beach and Anthony Quinn Bay. Faliraki Beach and Afandou Beach are also within 3 mi (5 km). 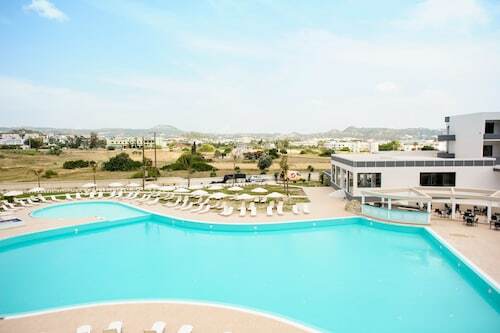 Situated in Rhodes, this hotel is within a 15-minute walk of Ladiko Beach and Anthony Quinn Bay. Faliraki Beach and Afandou Beach are also within 3 mi (5 km). 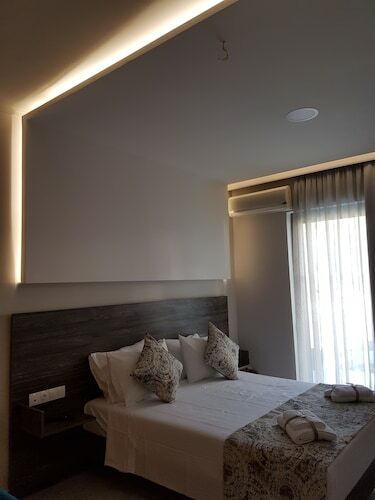 Situated near the beach, this aparthotel is 0.7 mi (1.1 km) from Faliraki Beach and 1.8 mi (2.8 km) from Anthony Quinn Bay. Ladiko Beach and Afandou Golf Course are also within 3 mi (5 km). 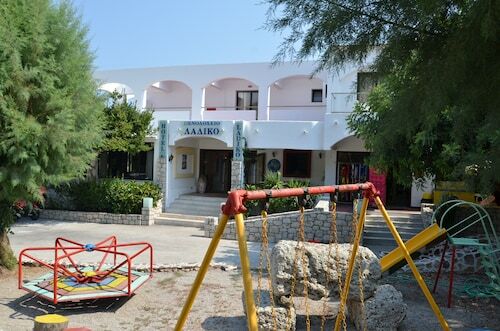 This family-friendly Rhodes property is within 1 mi (2 km) of Ladiko Beach and Faliraki Beach. Anthony Quinn Bay and Afandou Beach are also within 3 mi (5 km). Situated by the ocean, this historic property is within a 15-minute walk of Ladiko Beach and Anthony Quinn Bay. Faliraki Beach and Afandou Beach are also within 3 mi (5 km). 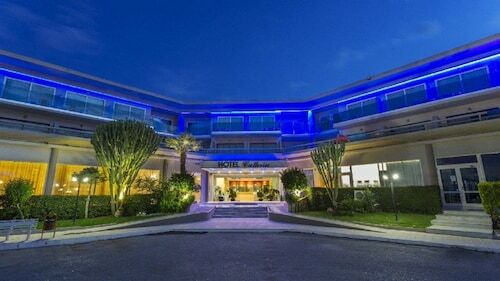 Situated in the mountains, this hotel is within 1 mi (2 km) of Ladiko Beach, Anthony Quinn Bay, and Faliraki Beach. Afandou Beach is 2.6 mi (4.2 km) away.